NASCAR Canadian Tire Series and Indy-car veteran, also the 2009 Indianapolis 500 "Rookie of the Year", born in Lachenaie, Quebec, Canada. After 4 seasons of Formula Atlantic, Tagliani raced in the Champ Car series from 2000, when it was still known as CART, until its demise in 2007. He was signed by Forsythe Racing for the 2000 season replacing the late Greg Moore, and would win the Greg Moore Pole award in Vancouver in 2001, which Tag's has said was his favorite award ever. He came close to obtaining his first victory in his third start, after taking pole position at Brazil and leading most of the race, but spun out from the lead with nine laps to go. 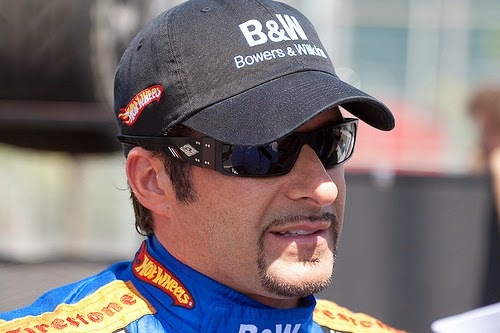 In 2008, after the Rocketsports team decided not to take part in the Indy-car Series, Tagliani made the transition to stock cars and began racing in the NASCAR Canadian Tire Series. He also drove for Conquest Racing in the Indy-car Series Detroit Grand Prix, replacing the injured Enrique Bernoldi. Tagliani continued in the seat for the last two races of the season. Tagliani's winning burnout at the Edmonton race which took place on the Edmonton Indy weekend. Conquest Racing announced that Tagliani would return as a full–time driver for the 2009. However, the team ultimately concentrated on road and street course races after the Indianapolis 500 in which Taglani was named the 2009 Indianapolis 500 "Rookie of the Year". Tagliani left Conquest Racing after the 2009 Rexall Edmonton Indy race in Edmonton, Alberta, Canada. It was announced on August 28, 2009, that Tagliani had signed a four–year deal with an option for a fifth year to drive for start–up FAZZT Race Team in the IZOD IndyCar Series beginning in 2010. After a successful 2010 campaign with Tagliani, FAZZT Race Team was looking forward to an even more successful 2011 season, along with the possible expansion on the grid with a second entry. However, the team was purchased by Sam Schmidt on March 1, 2011, and during the 100th anniversary of the first running of the Indianapolis 500, Tagliani qualified for the pole position at a four–lap average of 227.472 mph, besting Scott Dixon in the last run of the day. Tagliani also ran selected races in the NASCAR Nationwide Series, running four races between 2009 and 2012. In 2014, he announced that he would drive in two races in the series for Team Penske. At Road America for the Gardner Denver 200, Tagliani won the pole position driving Penske's #22. 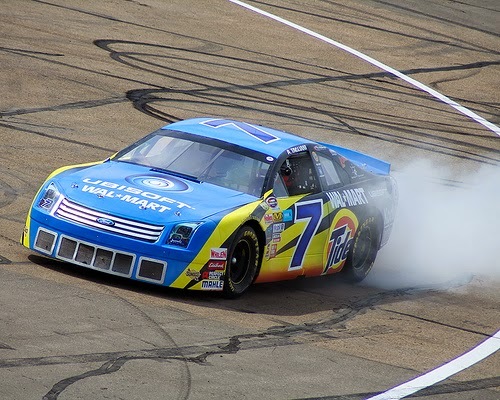 Tagliani nearly won his first NNS victory leading the second half. However, it was questionable with 10 laps to go if Tagliani had enough fuel. A caution came out before the final lap and just as the yellow period began Tagliani ran out of gas in the extended race and stalled at the start/finish line. Tagliani switched to dry (slick) tires with most of the field on wet tires (on a drying track); he restarted in 23rd place and recovered for second place. Tagliani made his debut in sportscars driving a Ferrari Grand-Am GT in the Rolex Sports Car Series in 2013. Later, Rocketsports Racing announced that it had signed Tagliani for the full 2014 United SportsCar Championship season to drive an Oreca FLM09. Later in 2014 Tagliani was announced as the driver for Brad Keselowski Racing's No. 19 in the Camping World Truck Series event at Canadian Tire Motorsport Park and got off to a memorable start when he put his truck on pole, but throttle problems ruined his race and he finished 16th in the Chevy Silverado 250.